Impacts: The investigation pored over the facts of two events from the first half of March at Hill's home in Overland Park, Kan. Howe's office "has reviewed all the evidence compiled...and has declined to file charges" for alleged battery, according to Terez A. Paylor of Yahoo Sports. While the probe didn't yield any criminal charges, there's still a chance the Chiefs and/or the NFL assess punishment for violations of the personal conduct policy. At the moment, though, neither organization has commented on the matter. Impacts: Hunt is allowed to participate in all team activities -- including preseason games -- until his eight-game suspension kicks in Aug. 31. 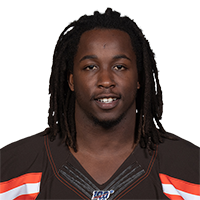 His presence on the roster has led to trade rumors surrounding Duke Johnson, who thus far has elected to stay away from the team during the voluntary portion of the offseason program. Johnson's agent reportedly asked for a trade in March or early April, but general manager John Dorsey said last week that the 25-year-old running back is still a "vital part" of the offense. Hunt's presence also creates some level of concern about Nick Chubb's rushing workload during the second half of 2019. Impacts: The value of the deal isn't yet known, but it's expected that the extension will make Roethlisberger one of the NFL's highest-paid players on an annual basis while he's on the Steelers' books through 2021. 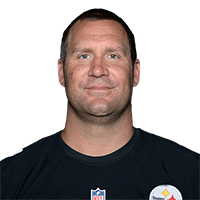 Though the veteran signal-caller had hinted at retirement in previous offseasons, Roethlisberger confirmed shortly after the Steelers' 2018 campaign wrapped up that he would be back for 2019. Roethlisberger is coming off a productive season in which he established new career highs in passing yards (5,129) and touchdowns (34), though he'll now have to adjust to life without top wideout Antonio Brown. However, with emerging star JuJu Smith-Schuster back for his third NFL season and a number of other quality targets on hand, Roethlisberger shouldn't see his numbers suffer much -- if at all -- in 2019 with Brown out of the mix. Impacts: The decision to pick up the $9.1 million option was an easy one for the Cowboys, as the 23-year-old has established himself as one of the NFL's few three-down bellcows since entering the league in 2016. The option may end up serving merely as a placeholder while Elliott and the Cowboys turn their attention to working out a long-term extension that will keep the Ohio State product in Dallas for the duration of his prime. Impacts: Lynch previously stepped away from the game following the Seahawks' Super Bowl 50 loss to the Patriots, sitting out the 2016 season before Seattle traded his rights to Oakland. 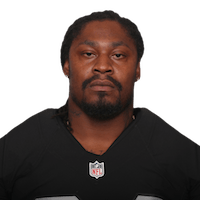 Invigorated by the chance to play for his hometown team, Lynch promptly inked a two-year deal with the Raiders and made 21 appearances during his time in Oakland, logging 1,267 rushing yards and 10 touchdowns. His 2018 campaign was cut short by a groin injury, and though the issue wasn't anything that would have impacted his availability for NFL training camps this summer, the 33-year-old is apparently ready to move on to the next phase of his life. Assuming Lynch follows through with his retirement plans, he'll wrap up his career as a five-time Pro Bowler, one-time Super Bowl champ and the NFL's 29th all-time leading rusher. Impacts: While the Rams aren't expected to extend Goff this offseason, the team will have him under contract through at least the 2020 campaign. The team has spent a bunch of money recently on the likes of Aaron Donald, Brandin Cooks and Todd Gurley, so it will sit on Goff's cheaper rookie deal for the time being. Coming off a 32-touchdown campaign and a Super Bowl appearance in 2018, Goff has the weapons around him in Cooks, Robert Woods, Cooper Kupp (knee) and Todd Gurley to post another healthy statistical season under center. Impacts: This doesn't seem to be a point of contention, as Bell likely informed the Jets of his plan when he signed a four-year, $52.5 million contract last month. He's always preferred to work out on his own during the offseason -- something that may have played a role in his inability to secure a long-term contract with Pittsburgh. In any case, the 27-year-old has plenty of time to get in shape and learn coach Adam Gase's playbook before rejoining his teammates for OTAs in May or mandatory minicamp in June. Gase said he'll be cautious about overworking his star runner, but it will be tough to take Bell off the field for more than a breather when the backfield alternatives are Ty Montgomery, Elijah McGuire, Trenton Cannon and De'Angelo Henderson. 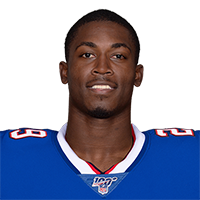 Impacts: Though he's already four seasons into his NFL career, the 25-year-old Yeldon will provide some youth to a Bills backfield that features LeSean McCoy (who turns 31 in July) and Frank Gore (36 in May) atop the depth chart. During his time in Jacksonville, Yeldon failed to emerge as a consistent bellcow for the Jaguars, but has nonetheless maintained a respectable career mark of 4.0 yards per carry. Instead, Yeldon has made his biggest impact as a pass catcher, and that's likely the area where he'll provide the most utility for Buffalo in 2019. Yeldon has eclipsed 50 catches in both of the past two seasons, including a career-high 55 grabs and four receiving scores in 2018. Impacts: Watson appeared poised for retirement following the Saints' NFC Championship loss, but the veteran tight end may not be willing to hang up the laces just yet. The 38-year-old was a surprisingly critical factor in the team's offense for much of last season, registering 400 receiving yards and two touchdowns despite starting just four games, forcing tight ends Josh Hill and Dan Arnold to each take on more of a supporting role. 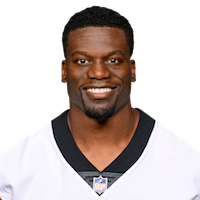 The Saints clearly value Watson's leadership, but even if the 14-year vet were to return for another season, it's unclear if it would be for New Orleans considering the offseason addition of Jared Cook. Impacts: This isn't exactly a surprise, as Goff's fifth-year option is still significantly cheaper ($20 million) than what he'd receive via an extension --- a particularly vital fact considering recent spending sprees on Aaron Donald, Brandin Cooks and Todd Gurley in the past nine months. While Goff has improved in each of his two seasons with head coach Sean McVay, questions still linger about the quarterback's ability to lead his team to an NFL championship, with a 229-yard, one-interception stinker in the most recent Super Bowl acting as a glaring spotlight. Recency bias aside, Goff is certainly deserving of a pay raise, sporting the fifth-most passing yards and fourth-most touchdowns in the league over the past two seasons combined. While it's possible Goff and his representation could wait till Patrick Mahomes receives his inevitable record-setting contract extension, the Rams might attempt to accelerate the negotiations in order to avoid what figures to be market-resetting figure. It just isn't expected to occur this offseason. Impacts: Baldwin has endured a trio of surgeries this offseason, the most recent one a sports hernia April 4. Prior to that procedure, coach Pete Carroll mentioned a recovery in the vicinity of 6-to-8 weeks, but it appears the Seahawks will exercise caution after all. With OTAs and mandatory minicamp on the docket in late May and early June, Baldwin may not get much on-field work at the Seahawks' facility before training camp kicks off in late July. No matter, his health is of utmost importance as newly minted Russell Wilson's No. 1 option in the passing attack, so expect Baldwin to return when back to full health. Impacts: Gaine said Fuller has been rehabbing in Houston all offseason and the receiver has yet to suffer a setback in his recovery from a torn ACL. Head coach Bill O'Brien expressed a similar level of optimism earlier this month and even went as far to suggest Fuller could be back on the field, in some capacity, for training camp. The Notre Dame product will be roughly nine months removed from surgery by that time, but there remains no firm timetable for his exact return to action and it wouldn't surprise anyone if the Texans keep their big-play threat under bubble wrap for most of the summer. Impacts: It's an issue that came to light following the conclusion of the campaign, at which time Nick Wagoner of ESPN.com relayed that the tight end played most of the second half of the season with a cracked rib. 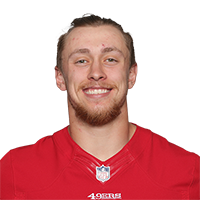 Regardless of the exact injury terminology used, Kittle's 88-catch, 1,377-yard season looks even more impressive when considering the discomfort he worked through beyond Week 9. Following the retirement of Rob Gronkowski, Kittle approaches the coming season as one of fantasy's elite tight ends, in the top tier at his position along with Travis Kelce and Zach Ertz. 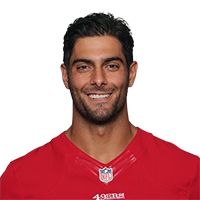 Impacts: Garoppolo sustained a torn ACL in the knee Week 3 of last season, ending his first full campaign as the 49ers' starting quarterback much earlier than expected. Invested in rehabilitation in the meantime, he's progressed enough in his recovery that he and the team believe he'll be medically cleared by the start of training camp, per Jennifer Lee Chan of NBC Sports Bay Area. As for the brace, Garoppolo is unsure if it'll be something he wears long term, but he'll at least don one in the fall. The 49ers missed out on the big fish (Antonio Brown and Odell Beckham) on the market this offseason, but the addition of Tevin Coleman bolsters the backfield, and the receiving corps may be reinforced in the draft, helping Garoppolo's cause as he returns to the fold. 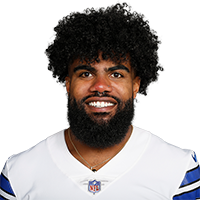 Impacts: Since he was selected with the fourth overall pick in the 2016 draft, Elliott is the sole player with more than a 1,000 touches -- 1,003, to be exact -- en route to 5,247 yards from scrimmage and 34 touchdowns in 40 games. Such production makes the Cowboys' upcoming decision a no-brainer, especially with DeMarcus Lawrence's extension out of the way. Aside from Lawrence and Elliott, the team also may seek to lock Dak Prescott and Amari Cooper into long-term deals. Impacts: Head coach Ron Rivera indicated something similar in January and it seems Newton only continued to progress as the offseason went on. 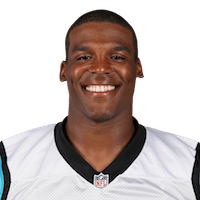 While the quarterback remains without a timetable to resume throwing footballs, the Panthers have expressed nothing but optimism over Newton's recovery thus far and there doesn't appear to be any concern whatsoever over his Week 1 availability. Newton will be four months removed from arthroscopic shoulder surgery when OTAs kick off next month and six months removed before training camp starts in late July. 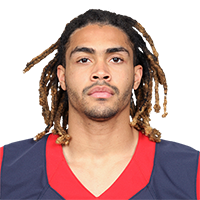 Impacts: Recovering from a Dec. 23 rupture of his Achilles tendon, Thomas was released by the Texans in February and pleaded guilty to a careless driving charge in March. His offseason now takes a turn for the better, though he still has a long way to go in the rehab process. The Patriots can afford to take a patient approach, with Tom Brady capable of putting up points even if his pass-catching corps is depleted by a mixture of injuries, retirements and suspensions. 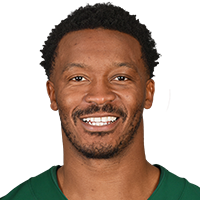 The 31-year-old Thomas hasn't exactly aged gracefully, but he still had something to offer late last season, catching 23 of 33 targets for 275 yards (8.3 YPT) and two touchdowns in seven games after he was traded from Denver to Houston. He'll now be reunited with offensive coordinator Josh McDaniels, joining a group of wide receivers that includes Julian Edelman, Josh Gordon (suspension), Phillip Dorsett, Bruce Ellington and Maurice Harris. Impacts: With defensive end Demarcus Lawrence locked up, Prescott and Amari Cooper are next in line for extensions, followed by Ezekiel Elliott. The 25-year-old quarterback hasn't quite delivered on the promise of his rookie season, but he does provide durability (zero missed games), a winning record (32-16), rushing ability (18 touchdowns) and respectable passing efficiency (66.1 completion percentage, 7.4 yards per attempt). There's also a reasonable expectation for improvement in 2019, with Cooper spending a full season in Dallas and Randall Cobb replacing Cole Beasley (Bills) in the slot. On the other hand, Prescott was charged with 56 sacks and 12 fumbles in 2018, despite playing behind a solid offensive line. His decision-making under pressure is still a major issue. 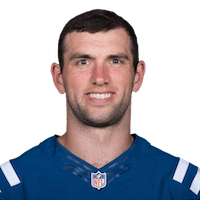 Impacts: Following three consecutive offseasons devoted to rehab/recovery for his right shoulder, Luck was finally able to step away from his job and took the opportunity to get married in March. He's now back alongside his teammates for the start of the offseason program, with a plan that doesn't include any throwing during the initial phase of workouts. The Colts haven't made much noise with free-agent additions on offense, but they already have a strong foundation and still have a ton of cap space to supplement their roster before Week 1. Luck and coach Frank Reich enter their second offseason working together, with optimism for improved pass-catching depth if wideout Devin Funchess can bounce back from a disappointing 2018 campaign in Carolina and tight end Jack Doyle (hip) can get healthy. Indianapolis also has the makings of an elite offensive line, led by left tackle Anthony Castonzo, left guard Quenton Nelson and center Ryan Kelly. 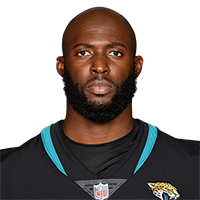 Impacts: Given that he was arrested for an unpaid speeding ticket, Fournette never figured to face discipline from the Jaguars or the NFL. 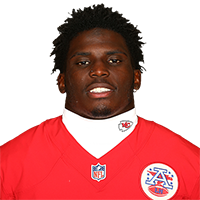 Still, it isn't the best look for a player who seems to be on thin ice after a tumultuous 2018 campaign marked by injuries, weight gain, inefficient running (3.3 YPC) and a one-game suspension for an on-field brawl. The Jaguars used the suspension as justification to void the remaining guarantees in Fournette's rookie contract, but they've also made it a point to say he still has a future with the team. Jacksonville's offseason moves support that notion, as the depth chart behind Fournette contains Alfred Blue, Benny Cunningham, Dave Williams and Thomas Rawls -- not the most inspiring group. Of course, the Fournette trade rumors would regain steam in a hurry if the Jaguars were to use an early pick on a running back in the 2019 NFL Draft. The 24-year-old reportedly dropped some weight in the offseason and should be back around 220-230 pounds ahead of his third NFL campaign. Impacts: Though Wilson set a deadline of midnight Monday for reaching a new extension, the two sides were willing to negotiate until the early hours of Tuesday and ultimately consummated a record-setting deal. 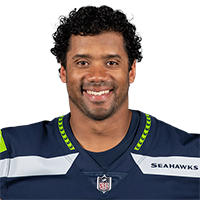 Wilson's contract is worth an average of $35 million from 2020 through 2023, including a league-record $65 million signing bonus. The 30-year-old's deal also includes a no-trade clause, likely ensuring that he finishes out his prime years in Seattle. Impacts: Gurley's comments come on the heels of those made on The Rich Eisen Show by coach Sean McVay, who called the running back "the focal point" of the Rams offense. Notably, Gurley was more or less a spectator during the NFC Championship Game and Super Bowl LIII, earning 16 combined touches in those contests. As the offseason has worn on, McVay claimed responsibility for not getting Gurley more involved in those contests, but Jeff Howe of The Athletic later reported Gurley may be dealing with arthritis in his left knee. Gurley has plenty of time to get healthy for the 2019 season, when he's expected to be on a "pitch count" of sorts, according to McVay. At the moment, Malcolm Brown is Gurley's primary backup. 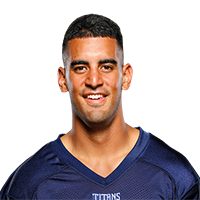 Impacts: Mariota has missed at least one game in each of his four NFL seasons and is coming off a 2018 campaign marred by injuries to his neck, right elbow, right shoulder, back, oblique, rib and foot. He played 14 games (13 starts) en route to finishing the year with career highs for rushing yards (357) and completion percentage (68.9), but his injuries forced the Titans into an uber-conservative approach at times. The team spent big money this offseason on slot receiver Adam Humphries and guard Rodger Saffold to help new offensive coordinator Arthur Smith, who was promoted within the organization and plains to retain Matt LaFleur's terminology. The Titans hope extra weight will help Mariota stay healthy, but they've also hedged their bets with the addition of backup quarterback Ryan Tannehill. Despite the long list of injuries from last year, Mariota said he won't have any limitations during the offseason program. 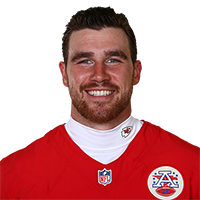 Impacts: Kelce had surgery to address a lingering ankle injury after the Chiefs were eliminated from the playoffs. While the procedure reportedly wasn't too serious, the rehab process may keep him off the field through OTAs and June minicamp. There hasn't been any suggestion that the 29-year-old tight end is in danger of missing the start of training camp in late July. 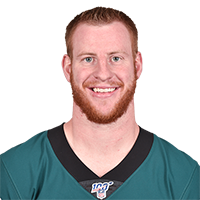 Impacts: Wentz avoided surgery after missing the final five games (including playoffs) of the 2018 campaign, but it's nonetheless been a slow process to recover from a stress fracture in his back. 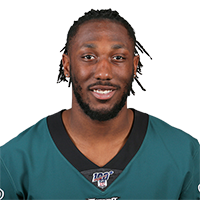 He's present Monday for the start of the Eagles' voluntary offseason program, with his rehab presumably allowing for some degree of strength and conditioning work. The 26-year-old quarterback is entering the fourth and final season of his rookie contract, though it's only a matter of time before the Eagles exercise the fifth-year option. General manager Howie Roseman has already acknowledged the possibility of Wentz receiving a contract extension this spring or summer. Philadelphia upgraded his supporting cast during the offseason with the additions of wide receiver DeSean Jackson (Achilles) and running back Jordan Howard. Impacts: The timeline rules Adams out for the offseason program and raises doubt about his availability for the start of training camp. He enjoyed a brief stretch as the Eagles' lead back after catching on as an undrafted rookie in 2018, but he likely will need to battle for a roster spot after the team traded for Jordan Howard earlier this offseason. On a more optimistic note, the shoulder injury might help explain why Adams dropped out of the game plan during the playoffs, though it probably had more to do with his struggles as a pass blocker and receiver. 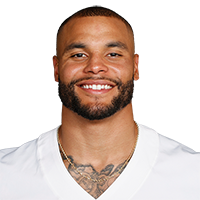 He took 71 carries for 286 yards (4.0 average) and three touchdowns during his five-game stint as the starter Weeks 11-15, but he caught just three of eight targets for 19 yards in that same stretch. Impacts: The main takeaway is that Jones isn't planning a holdout as a tactic to secure a new contract. 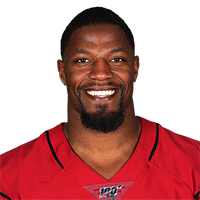 Falcons owner Arthur Blank recently suggested it's just a matter of time until the two parties reach an agreement, essentially acknowledging that Jones has outplayed his five-year, $71.25 million contract through three seasons. 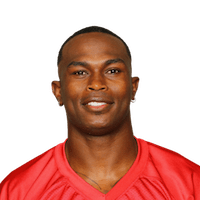 The 30-year-old wideout is working on five consecutive years with more than 1,400 yards, including a 2018 campaign in which he scored eight touchdowns in the final nine games. Regular appearances on the injury report do create some concern regarding longevity, but Jones hasn't missed a game since 2016 and has missed just three since 2013. Impacts: Elliott hopes to sign a contract extension this offseason but won't apply pressure in the form of a holdout. He's technically entering the final season of his rookie contract, but it's a given that Dallas exercises the fifth-year option to keep him locked in through 2020. With defensive end Demarcus Lawrence (shoulder) signed for five years, the Cowboys now need to work out long-term agreements for Elliott, Dak Prescott and Amari Cooper. Impacts: Monday also marks exactly one month since the police investigation of two incidents at Hill's house became public knowledge. The 25-year-old wasn't listed as a suspect on the recent police report, but he was listed on an older report that was closed shortly after the investigation began. Chiefs coach Andy Reid acknowledged last month that the team has discussed potential responses for different outcomes from the ongoing investigation. Hill is entering the final season of his rookie contract. 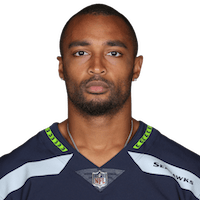 Wilson will attend the start of the Seahawks' offseason programs Monday whether he has a new deal in place or not, Bob Condotta of The Seattle Times reports. Impacts: Monday is Wilson's deadline for wanting a new contract as he enters the final season of his four-year, $87.6 contract. Wilson is obviously looking for a huge payday, but it is encouraging that the quarterback is still going to attend team events despite a deal not being in place as of now. Details on negotiations between the two parties will likely continue to be reported throughout the summer. 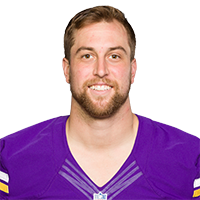 Impacts: Thielen played the past two seasons under a four-year, $19.25 million contract, making him one of the best bargains in the NFL. The new deal puts him closer to other top wide receivers, including teammate Stefon Diggs (five years, $72 million). The Vikings had no trouble finding work for their star pass catchers in 2018, with both Diggs and Thielen finishing in the top 10 for targets while accounting for 49.8 percent of the team total. Thielen's new contract reportedly could be worth as much as $73 million if he reaches all the incentives. Minnesota clearly isn't too worried about the 28-year-old's slow finish to 2018. 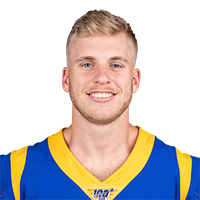 Impacts: Almost exactly five months removed from the injury and subsequent surgery, Kupp is on pace with his rehab by all indications. He even began running at the Rams' facility in mid-March, according to Clarence Dennis of the team's official site. There's a belief Kupp will be ready to participate in training camp in late July and early August, but the real test will be in-game reps at some point in the preseason. 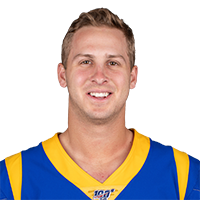 After he was lost for the season Week 10, Jared Goff surpassed 300 yards passing just twice in nine games (as opposed to six times in the first 10 contests). A healthy Kupp should revitalize the aerial attack. 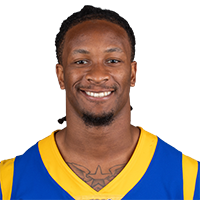 Impacts: After lingering issues with Gurley's left knee kept him sidelined in Weeks 16 and 17 and contained him to 16 combined touches between the NFC Championship Game and Super Bowl LIII, his health has been the talk of the Rams' offseason to date. Along the way, Jeff Howe of The Athletic reported Gurley potentially is dealing with arthritis in that knee. The Rams opted to move on from C.J. Anderson and stick with the previous status quo of Malcolm Brown as Gurley's primary backup, which seems to confirm McVay's confidence in the stud running back. During the same conversation with Eisen, McVay reiterated Gurley will be on a "pitch count" this coming season. If that's the case, Gurley may experience a decrease in the 22.7 touches per game he managed during the first two years under McVay. Impacts: The 30-year-old wideout had some big playoff moments during his three seasons in New England, but he finished his tenure with a zero-catch, six-target dud in a Super Bowl win over the Rams. Given the one-year contract and the length of time he spent unsigned, Hogan doesn't seem to have drawn much interest as a potential starter on the open market. 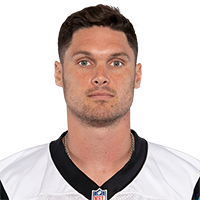 The Panthers are looking at a tough competition for snaps at wide receiver, with Hogan joining a group that includes D.J. Moore, Curtis Samuel, Jarius Wright, Torrey Smith and Rashad Ross. The team could still opt for some cap relief by releasing Smith and/or Wright. 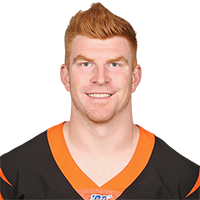 Impacts: Dalton had surgery to repair a torn right thumb ligament in late November and resumed throwing footballs at the beginning of February. His rehab process shouldn't have any impact on the process of installing a new offense under first-time head coach Zac Taylor, as the Bengals won't hold real practices until late May. The early stages of the offseason program will focus on learning a new playbook, in addition to the usual strength and conditioning work. Dalton has two seasons remaining on a team-friendly contract, but it won't come as any surprise if the Bengals try to find his successor during the 2019 NFL Draft. The 31-year-old quarterback was on pace for a 10-win, 34-touchdown season after Week 8 last year, but the Bengals fell apart once A.J. Green (toe) and then Dalton were injured. 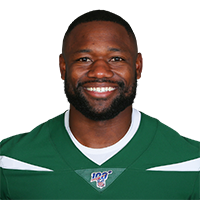 Impacts: The division rival Dolphins were expected to meet with Montgomery on Friday after the running back met with the Jets on Thursday, but it's now evident New York isn't letting him slip away. 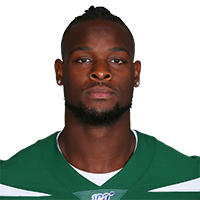 With little depth behind Le'Veon Bell, Montgomery initially enters the Jets backfield as a favorite to open the season as the No. 2 running back. Impacts: The arrest reportedly stems from an unpaid speeding ticket from an incident dating back to last November, when Fournette was cited for driving 12 mph over the speed limit, per Justin Barney of WJXT 4. It's not certain if the running back will face discipline from the NFL. 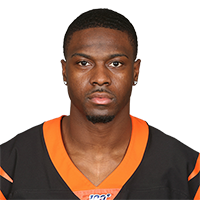 Impacts: While Green said he's ready to play, Hobson notes that the receiver is expected to be eased back into action just four months removed from undergoing a surgical procedure that was initially believed to require a three-to-four month timetable for recovery. Regardless, Green's active participation in voluntary workouts to any extent bodes well for his ability to garner extensive reps during an offseason in which the entire Bengals offense will be learning a new system under incoming head coach Zac Taylor. Impacts: Johnson won't be a forgotten player during draft season, but his lackluster showing last year (3.6 yards per carry, just five games with 100-plus yards from scrimmage) and a lost campaign in 2017 could make him a bit of a bargain. As mentioned, his experience with Kingsbury's favored scheme may help him harken back to his 2016 breakout, when he cranked out 2,118 scrimmage yards and 20 total touchdowns. Perhaps the only question yet to be answered is who will be directing the Cardinals offense this season. The incumbent is 2018 first-rounder Josh Rosen, but 2018 Heisman Trophy winner Kyler Murray frequently has been linked with Kingsbury since he was hired in January. A running back can be a young quarterback's best friend, so Johnson shouldn't have a problem producing no matter who is under center. 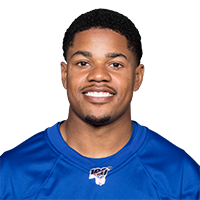 Impacts: Shepard, who was set to become a free agent next offseason, gets a deal that tops that of new teammate Golden Tate, who got a four-year, $37.5 million deal from the Giants last month. This move immediately quiets any speculation that Tate's addition has put Shepard on the trade block and suggests Shepard is a big part of what the Giants want to do offensively moving forward, which seems to include a run-first approach with receivers who can pick up yards after the catch. With Tate specializing in the slot, Shepard seems poised for more work on the outside than he has in the past, but in addition to Tate, he'll also have to contend for targets with Saquon Barkley and Evan Engram. Sign up for NFL Fantasy for free today!